Your pup will dazzle the crowd in this Lily Collar Flower set. 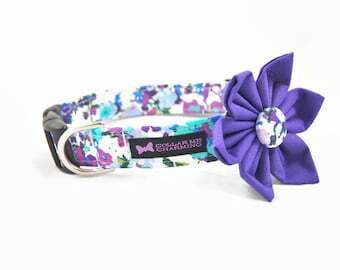 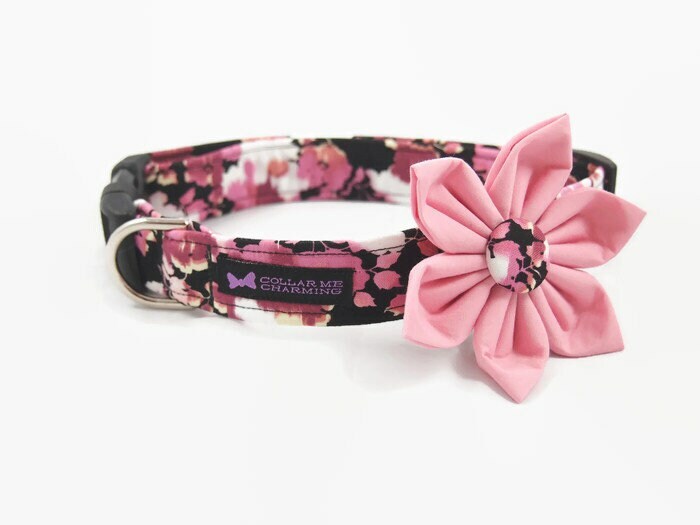 This beautiful spring collar features colors of pink, and slightly yellow flowers with a black background. 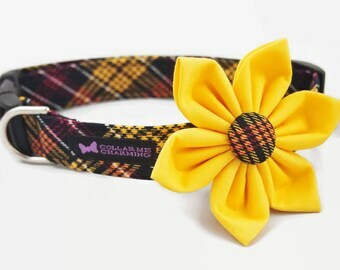 All flowers are removable and are attached with Velcro and a stretchable strap to keep it in place.